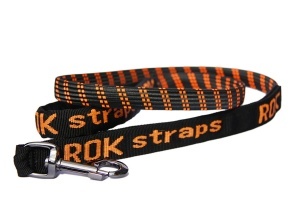 The ROK DOG Leash is a highly durable stretch lead for large dogs. This 90cm length model is perfect for large and giant breed dogs. 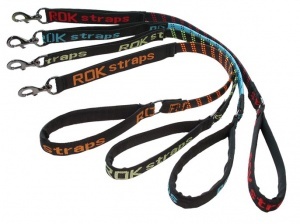 Big Dog World was involved in the product development and we thoroughly recommend these leads. 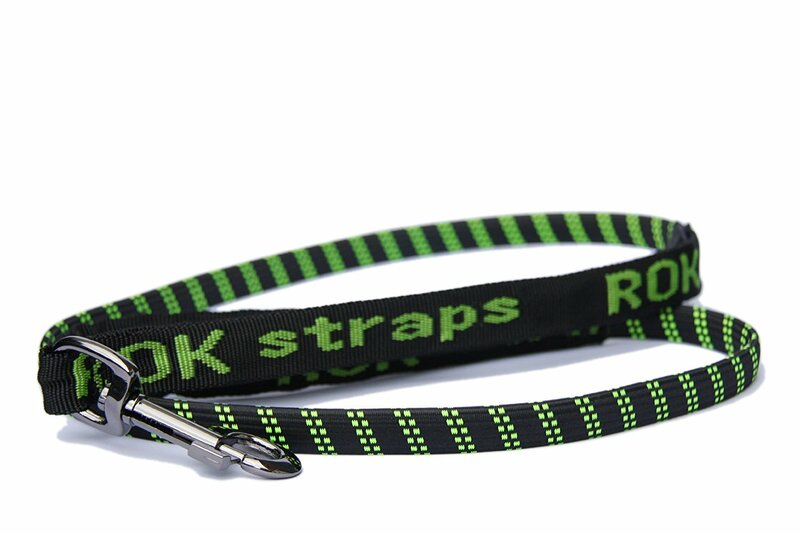 The stretch feature absorbs the jolt of a dog that pulls and saves your shoulder arm and hand in the process. 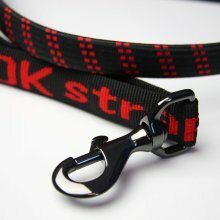 A unique double handle lets you pull the dog close to you if needed. 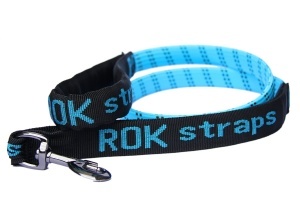 Tested on Elvis our Newfoundland, the ROK lead stood up to his chewing and pulling incredibly well. These are very tough high quality leads suitable for large and giant breeds. I am very pleased with these leads and would definitely buy again. 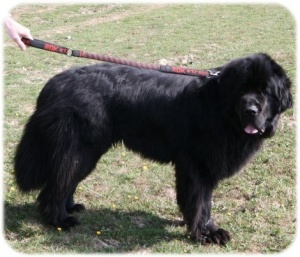 2 Newfoundlands, so 2 new leads. The stretch actually does work as a shock absorber, but only in circumstances where they take a sudden lunge toward an interesting spot. Our two generally plod besides us, it's only when they get the scent of something that they take a lunge for a good sniff - thats where the shock absorber works. However, if they decide to do a sprint then the lead goes with them minus me!! I know I do not stand a chance of holding onto them and just hope for the best. Usually it is to say hello to someone or another dog. I am very pleased with these leads and would definitely buy again. Only had the lead for one day but it's made a huge difference and I'm delighted. It performs very well with a 46kg GSD. You can feel it starting to take the strain if he just forgets himself for a moment to sniff at something which is better for both of us but it really comes into its own if he sees something and lunges. For the first time ever I can stand still with confidence until he comes back to heel and walks nicely again. I think I'd be more confident if the plastic parts were metal but only time will tell how it holds up.